Ensuring a premises' HVAC system is running efficiently is crucial to the system's performance, making regular maintenance critical to protecting your building asset. Auscool Commissioning Services was established in 2016 to offer clients a comprehensive range of solutions for the maintaining, commissioning and repairing of all major brands of mechanical air conditioning and ventilation systems. 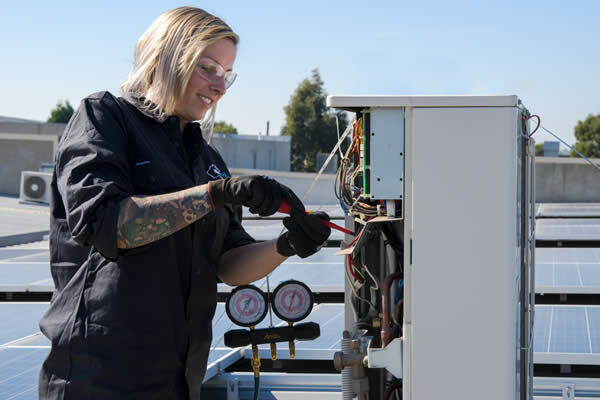 Our highly skilled and fully qualified technicians can service, maintain and repair a variety of systems from single splits to VRF air conditioners and central plant equipment in hotels, high rise apartments, office buildings. An electrician and refrigeration mechanic by trade, Dylan began working for Auscool in 2012 as a service technician. 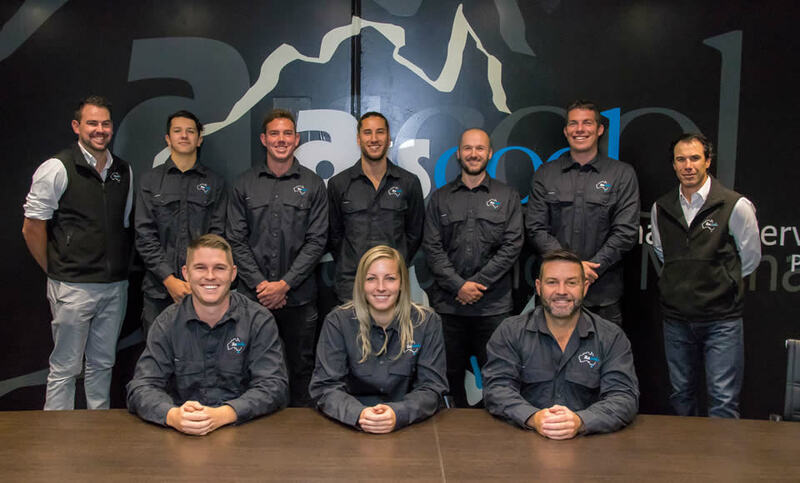 In 2016, Dylan became the service manager of Auscool Commissioning Service where he oversees a specialist team of maintenance and service technicians. Dylan balances professionalism with an approachable manner, making him popular with clients and staff alike. Tony began his career as a service technician in country Victoria and has over 26 years of experience in the industry. Over his 10 years with the Auscool team, Tony has taken on varying roles in-cluding service management, installation, estimating and project management giving him a unique and extensive knowledge of the HVAC industry and of our company. Caitlin has worked for over 8 years as an administrator / job coordinator within the building and construction industry. Caitlin expertly organises and schedules all our in-house technicians and sub-contractors. Caitlin also has expertise in office administration including payroll, invoicing and mechanical audit reports. Our talented team receive the latest state-of-the-art training and certifications, and our company philosophy ensures that you will be happy with the workmanship and service level that we are known for delivering. All our staff have also been inducted and trained in compliance with the Work Place Health and Safety Act procedures. We know that air conditioning breakdowns can be a costly and potentially unsafe problem in your premises and a timely response is crucial in resolving the issue and minimising disruption. Our fleet of fully equipped vehicles offer 24 hour response for verified emergencies and the extensive knowledge and expertise of our technicians enable them to assess the problem and return your system to full capacity as quickly as possible.